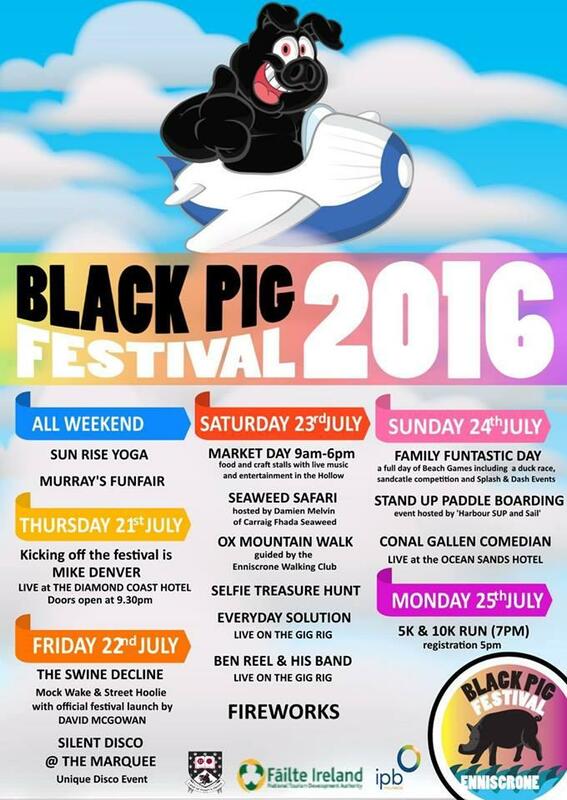 The Enniscrone Black Pig Festival takes place in Enniscrone, one of Sligo's most popular and scenic towns, with a wide variety of activities for all ages. The Black Pig Festival of Enniscrone evolved from a legend story that a wild boar that was claimed to have magical powers, ran through the streets of Donegal killing all in his path. This boar was covered with large bristles that were deadly poisonous to touch, the wild boar disappeared into the waters and then rose from the sea onto the Enniscrone Shore and once again killing everyone in its path. When then people of the town recovered from their initial fright, they came together and ran the Black Pig out of the town using long-handed spears and wooden poles, to a field in Muckduff ( Irish for "Black Pig") where the wild beast was slayed. One person thinking that the poison in the bristles only worked while the pig was alive, touched the dead animal and died instantly. When the others saw this they knew there would be no feasting on this animal, so the animal was quickly covered up with clay & stone. 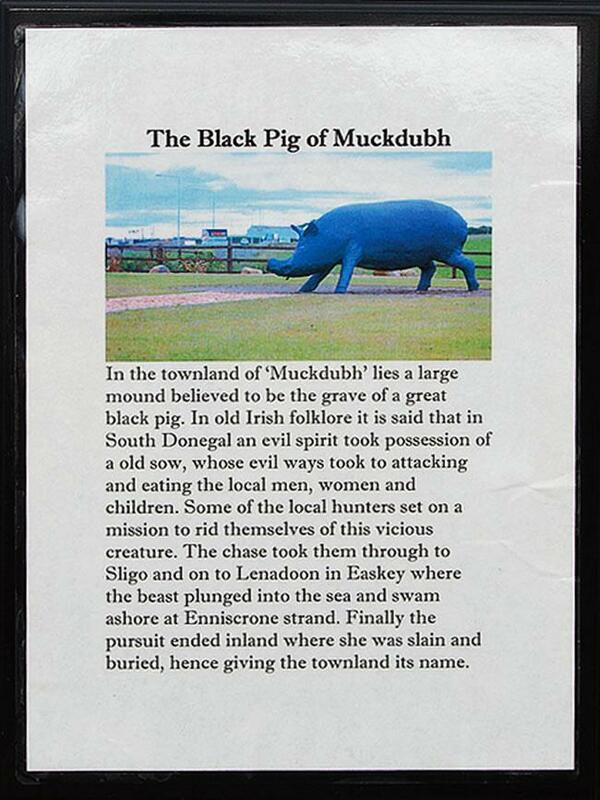 The mound is still here to this day and a sculpture of the Black Pig was created by Cillian Rogers of Dromore West, it is 4metres long, 1.5metres high and weighs 3tonnes and can be found across the road from the Diamond Coast Hotel in Enniscrone.